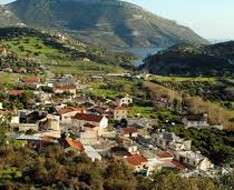 This tour aims to take visitors to the peaceful, picturesque village of Germasogeia 15 minutes away from the beach, to stroll through the narrow streets, see its special architecture, visit its churches, and feel the village life. This tour aims to discover the nature of Germasogeia. The participants will walk for more than half hour along the nature trail of the area of the Water dam of Germasogeia and enjoy beautiful views of the area. In the winter colourful flowers and shrubs cover the valley. Cost: Gratis. The walks are free of charge by the Municipality of Germasogeia in collaboration with the Deputy Ministry of Tourism and the Cyprus Tourist Guides Association. Book in advance your seat at +357 25 323 211. Give your name and hotel. Both tours use an Old Bedford Bus for transportation!